such as Maya Angelou, E.E. Cummings, Seamus Heaney and a few more, dating back as far as the Ming Dinasty! Taking place in the beautiful settings of the four-star Knightsbrook hotel, this unusual evening of literature, was performed by Delphine Coudray, accompanied by the very talented Vincent Lynch on Piano. This project was essentially a stage interpretation of the legendary Pink Floyd album: in the intimate setting of the New Theatre, the company presented their creation, a stylized piece of theatre using multimedia and the acting skills of local talents, Deirdre Doyle, Joanne Donoghue and John Fagan. The show also featured work by local film director Colin Downey with five other actors from Meath on screen and a musical interpretation by musician Alun Smyth, better known as “Minty”. In November 2008, more than 200 participants from schools, scouts, active retirement and ICA groups around the county made decorations during Arts & Crafts workshops, facilitated by Oulala productions. The result was an impressive display consisting of a colourful 7ft Christmas tree, a festive stained-glass window and a ceiling of personalised snowflakes. The launch, on the 29th of November 2008, was a joyous congregation, where Cathriona Mongey delighted all ages with Carols and even Santa came to congratulate all the participants on their good work! 25 hours of workshops, 30 hours preparation and installation, more than 200 participants and tons of glitter! Winteriffic was supported by Meath County Council Arts Office and Solstice Arts Centre. Oulala Productions’ first year also saw us storytelling around county libraries in Meath and Louth, alonside the mobile planetarium for Science week, facilitating arts & crafts workshops in Gorey and Blackrock for Halloween and helping out a youth group in Cavan to animate their fundraising event. In January 2008, Oulala Productions took part in the Attic Studio 78-hour film competition. The brief was to create a short film on the theme “Strange Encounter”, ensuring that the line “I hate that smile!” was used and that the finished product would not exceed 3 minutes. Oulala’s parody of the trailer for the 1945 classic “Brief Encounter” by Noel Coward finished 3rd place, winning the choice of the public! You can also watch the original here. A short play by G.L. Horton, in association with Navan CDP to celebrate International Women’s Day. When Ann’s marriage has gone sour, she knows she can count on her mother, Janet, to help her out. But Janet’s advice takes an unexpected turn. This lovely piece of dramatic comedy was presented in Solstice Arts Centre with local talents Mary Norman (as Janet) and Ciara Cassoni (as Ann) on the 6th of March 2009. Geralyn Horton is an American writer, director and actor. Dozens of Horton’s play scripts are published on her website. Through the Internet and the International Centre for Women Playwrights, Horton has had productions of her work in England, Ireland, France, Italy, Greece, New Zealand, India, and South Africa; and more than 150 productions in high schools and colleges in the USA. In March 2009, No Fear was Oulala Productions’ entry for the International filmfest organised jointly by the Backyart New York and the Attic Studio Dublin. We had 83 hours to shoot it, the film could be no longer than 7min, the theme had to be: bravery, the image that had to appear in the film: a key on a ring. This version here is slightly longer than the one you have seen in the Attic Studio and the Backyart… let’s call it the “Director’s Cut”! Organised by trim Canoe Club, this crazy event was too much for us to resist: we got our saws, paintbrushes and floaters and created a giant swan raft, in homage to the children of Lir. The swan finished the race intact. We can’t say the same about our brave “rafters”!! As part of their Halloween activities, Oldbridge House at the Battle of the Boyne site offered storytelling and arts & crafts workshops, free of charge to their youngest visitors. This was our first visit to this wonderful heritage site, and we are delighted to return there every year to spook and delight our growing audience! From September 2007, Navan Springboard Family Support Services host “He’s my Dad” Group weekly meetings. Each member has their own unique experience as a lone parent, a house husband or separated father. All aspire to do their very best for their children. In 2008, the group wrote, devised and recorded a radio play called Wheres my Daddy gone?, a dramatised representation of the experiences encountered by the members. Following the success of the play, produced by Lmfm and available on audio CD, Navan Springboard approached Oulala Productions to help the group bring the play to the stage. The play follows Finbar and his family through the break-up of his marriage; how does this affect his children? His parents? What does it mean for him and his wife to have to go to court? What happens there? The play was performed in Solstice Arts Centre on the 5th of November 2009. For our “terrible twos”, we dressed up quite a bit: a bunch of us donned the Venice Carnival theme costumes, guitars and stilts to help launch Drogheda Arts Festival, where we also did a spot of Storytelling. 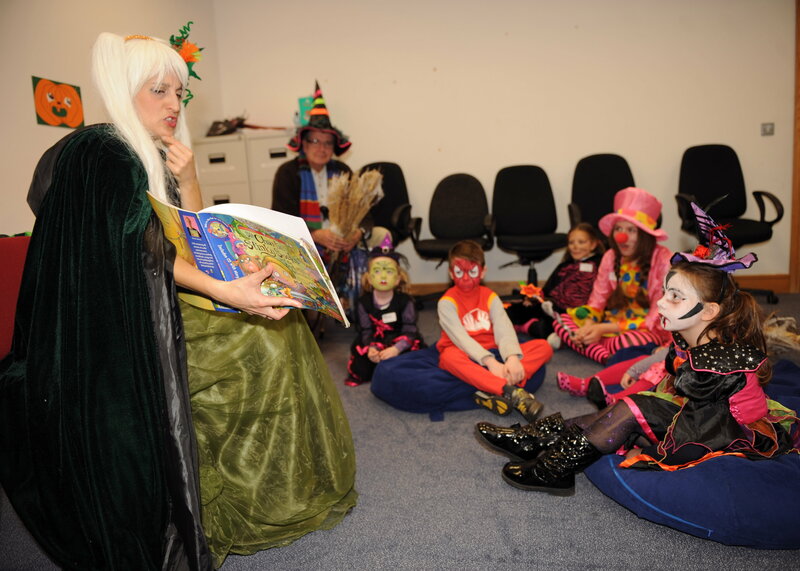 More storytelling was done as witches and mad scientists around all the libraries in Meath… busy year full of books! We finished the year back in Oldbridge house for some festive Arts & Crafts workshops with the little ones. For our second entry into the madness of Trim Daft Raft Race, we took up the challenge to create giant Legomen… the super-hero kind! Ironman and Captain America floated relatively well pass the finish line and had a roaring success with the crowds! Easter 2010 was marked by the first Hot Air Balloon Festival in Trim. Oulala productions was on site for both Cadbury, with a giant egg hunt, and Boyne Valley Honey, with fun games, storytelling and sweet encounters with Bizzy Bee the mascot! A little extra… a little hungry! Trim 2025 teamed up with Oulala Productions to bring festival-goers a breakfast with a twist: Food from former French Embassy chef Francis Simonet, local art, music and comedy – turning everything on its head in a celebration of Jonathan Swift’s satire on the warring factions of Lilliput. “They would not Eat together, nor Drink together, nor talk with one another”, all about which end of a soft boiled egg it was better to eat from! As it happened, the truce lasted long enough for everyone to have a jolly good time and a delicious French toast! For the second year of Spirits of Meath Festival, Oulala Productions was commissioned by Meath County Council to create an ad for online use. We joined forces with Supernova Productions and called all our friendly witches, ghosts, monsters, mummies and creatures of the night to come and help us show the fun side of our wonderful county. This is the result! As part of the Spirits of Meath Halloween Festival, Meath Arts Office organised a really big Children’s Arts Day in Dunshaughlin Park. Five of Oulala Productions performers created a joyful mayhem on site, with stunt performers, a werewolf on stilt and a cheeky dancer. Laughter for the little ones and frights for the bigger ones! This project was aimed at young people from Navan aged 11 to 15, as an introduction to drama in a fun and participatory environment. Over 2010-2011, our little group produced two plays and created new friends for life! 2011 was marked by the prestigious Solheim Cup golf tournament, held in Killeen Castle, county Meath. Oulala productions joined forces with Supernova Productions once more to shoot an epic promotional film, following the adventures of an ambitious golf ball around the county’s sites of interest. Our filming took us on kayaks, in helicopters, hot air balloons and even at the feet of racing horses! Our last entry for Trim Daft Raft Race was a winning one: our river-surfer about to be eaten by a shark made it to shore alive and with the “Best Raft” accolade from the jury! Jolly Jousting was Oulala Productions’ crazy contribution to this well-loved Trim Festival: we challenged festival-goers to compete in jousting matches against us or each-other…. on bikes! Laughter was definitely the prize for all brave knights who dared to saddle up! Groups lining involved in Solstice parade. Solstice Festival was a week long event taking place in Navan, Meath and organised by Solstice Arts Centre. 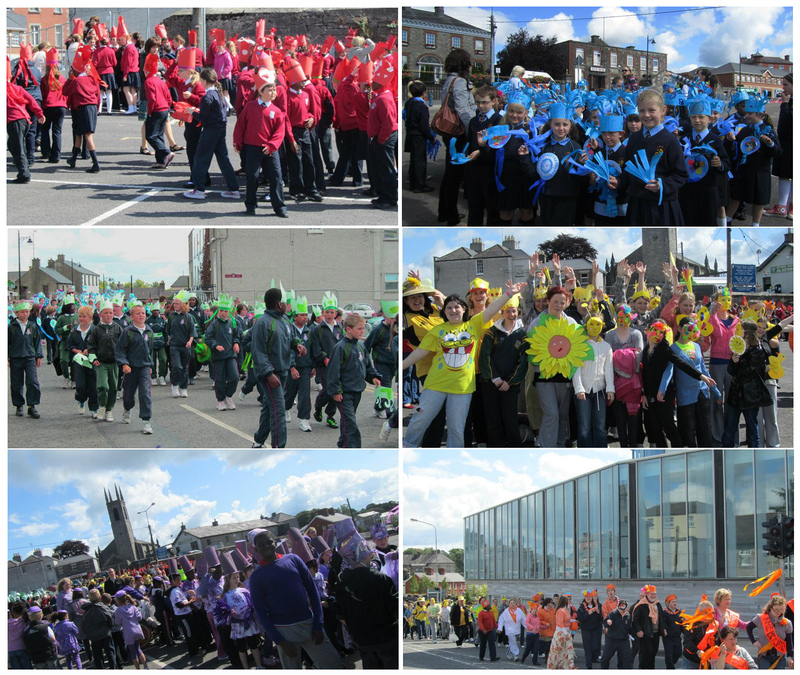 Oulala Productions rallied 800 children from Navan schools and adults from various community groups to transform the streets into a long rainbow of music and smiles, following workshops in the classrooms to make head-pieces, props and banners. During the month of August, Oulala Productions ran Drama Workshops for adults in Trim. Our programme offered fun and practical exercises to provoke and focus the actor inside each participant. The sessions were following the format of workshop; this means each participant was invited to experience and experiment with the course, receiving guidance along the way while being able to take ownership of their learning. Oulala Productions were approached by the Dunshaughlin Harvest Festival committee to help bring the old courthouse back to life and give festival-goers a taste of the Petty Sessions as they used to be, back in the 1800s. 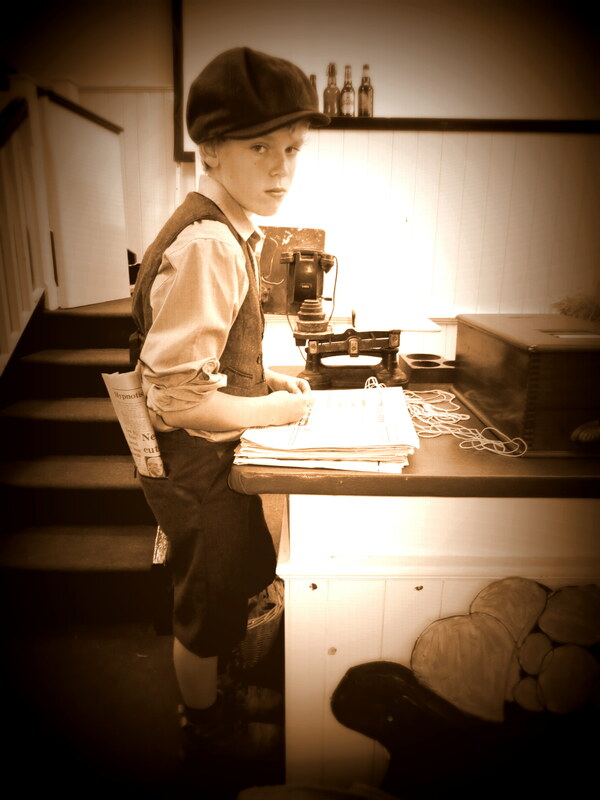 We got to work and immersed ourselves in the dark but fascinating times of the Famine, of Meath and its colourful characters, of quirky cases, moving human stories and how the good people of Dunshaughlin may have travelled to escape the hunger. In our writing, we could not ignore the political background of the times and had to include a very well-know English gentleman who changed the fate of many Irish children. We could not leave out the (in)famous Workhouse either… which, from the staff or the inmates, caused the most shenanigans? Is it a coincidence that our last stage production was set in a courthouse, too? Maybe the Law likes us… let’s hope it will last and that the only time we will have to stand in front of a Judge again, will be to adjust his wig and help him with his lines! As part of the Spirits of Meath Festival, Trim Tour of shadows took place over the Halloween weekend: brave visitors joined us to enjoy a walk through the dark streets of the town… and meet the shadows of its distant past. The highlight of the event was the burning of a witch on Abbey Lane.Supported by a cast of fifteen actors, local historian Noel French guided the groups around the castle, where they met the Hanging Judge and where Hugh de Lacy cut off Tiernan ORourke’s head. The groups were accosted by a number of Lepers who had escaped from their monastery at the Maudlins. The body snatchers made a number of appearances throughout the itinerary. Werewolves were heard on Loman Street and the story of the Man in the Sack touched heartstrings. We transformed ourselves in cheeky elves for a colourful Christmas at Kilkenny Castle. Over two weekends in december, we offered stories full of wonder beside the majestic tree in the Great Hall, followed by Arts & Crafts workshops, hidden in the vaulted basement. Back for the second installment of this colourful festival, Oulala Productions got the parachutes and space-hoppers out for a weekend of games, including another delicious egg hunt, sack and wheel-barrow races, face-painting and meet-and-greet with a little Darth Vader! 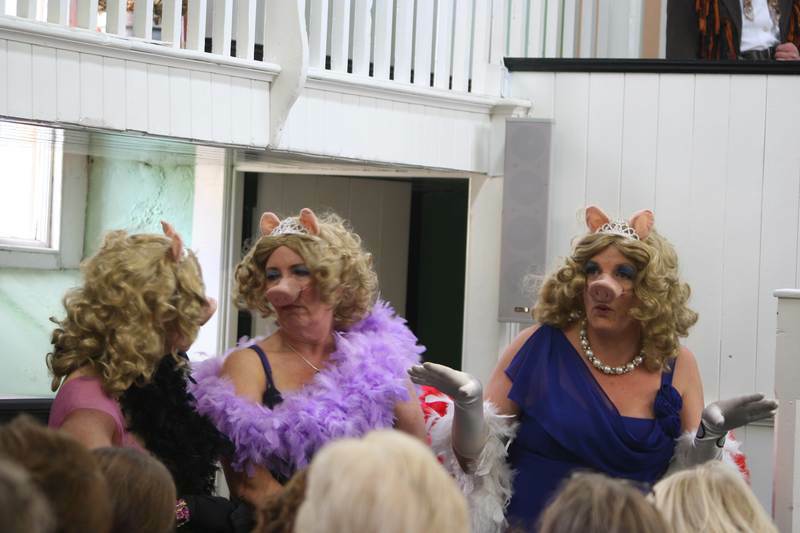 The three little pigs in the defendant’s box! For our second year in Dunshaughlin Harvest Festival, we decided to bring a bit of mischief and magic to the courthouse: from the big bad wolf to Fionn mac Cumhaill, famous characters faced a bemused human judge to answer for their crimes… laughter and mis-behaviour were on the agenda! The play was written by Roy Murray and directed by Sean Henderson. As part of the Spirits of Meath Festival, we were once again in Oldbridge House for a spot of scary story-telling and some spooky arts & crafts. As part of their Youth Programme, Trim Family Resource Centre invited Oulala Productions to help brighten the walls of their community gardens, over two weeks, the children painted the brightest jungle ever seen in Trim! LEAP is an Irish organisation working with families experiencing disabilities to help them feel motivated, confident and inspired to take control of their own lives and make decisions based on the development of a clear vision rooted in community about what is needed at any point in time. Oulala Productions was delighted to provide two weekend of Arts & Crafts workshops for the families in Cavan. written by historian Noel French and adapted by the creative team of Oulala Productions, this guided tour with a difference brings the public for a walk through the historical town of Trim, where they discover some gruesome truths about its past and come face to face with the characters who haunt still its streets… some horrid revelations and a few jumps were back on the menu for our troups! Oulala productions and Film Circle joined forces to help entertain the young and bright at Google HQ for their Apres-Ski party: we deployed our magical green screen and transported them to a land of snow and slides… for real!! The beginning of the year had been quiet for Oulala Productions, as Director Delphine Coudray was busy coaching the young cast for the horror film Dark Touch by Marina De Van. Delphine was soon enough back on the road telling stories, once again in Oldbridge House for the Mad as a March Hare Day and in Kilkenny Castle at Christmas. The year was also coloured by various arts & crafts workshops, face painting and games at various events and festivals around the country. Organised by Meath County Council Arts Office, this day of Arts and Crafts invited children from the county to go from one table to another and try different creative projects (origami, finger pupets, masks, basket making) or to come to Oulala Productions’s corner to hear a range of animal stories. Meath Volunteer Centre launched National Volunteering Week at the Solstice Arts Centre in Navan, with the Volunteering Matters Exhibition. This very unusual and very novel project is a celebration of Navan Volunteering and Navan’s rich commercial and industrial heritage. Running for two weeks, the exhibition was the result of a month of arts workshops, conducted by local artist Mark Smith with community groups from the area. After the exhibition, the mats where placed in shops and local businesses around Navan, where they remain in place to welcome visitors. Oulala Productions made this video to document the launch of the project and the distribution of the mats. Our biggest project last year was with no doubt “Project Swift”: a dream come true as we were approached by Paddy Smith, a board member of the Swift Satire Festival, to create and produce a spectacular display on the Castle for the last night of the Festival. Discovering video mapping, we worked for the first time with the brilliantly talented Lightscape Ireland, paying homage to the work and life of Jonathan Swift. Back to brighten the walls of Trim Family Resource Centre, Oulala Productions and the young people from Mornington Heights created a giant mural depicting their fantasy garden. This time, the children got to draw their own creation. International Archaeology Day is a celebration of archaeology and the thrill of discovery. Every October the AIA and archaeological organisations across the world present archaeological programs and activities for people of all ages and interests. Whether it is a family-friendly archaeology fair, a guided tour of a local archaeological site, a simulated dig, a lecture or a classroom visit from an archaeologist, the interactive, hands-on International Archaeology Day programs provide the chance to indulge your inner Indiana Jones. We had great fun working with the Blackfriary team of archaeologists to create a quirky walk through the Trim dig to celebrate this eventy. Was it magic or did that Friar really bend the space-time continuum? For 6 weeks in the Autumn, a group of 15 women from Trim joined Oulala Productions in Trim Family Resource Centre to explore their creativity through painting. Experimenting with colours, light and composition, they got to create their own art piece on their subject of choice. 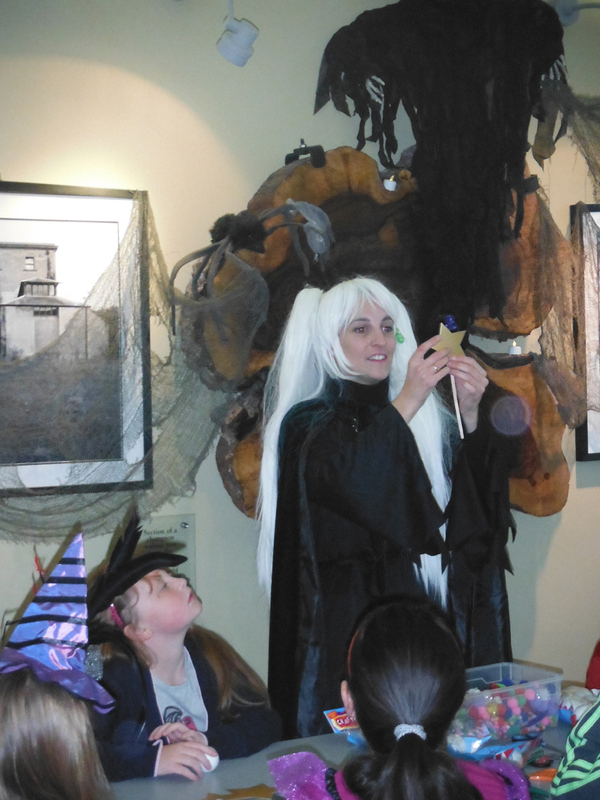 Our third year with Meath County Council Arts Office’s Halloween was in full costume again, with little scary creatures coming to hear our stories between two arts & crafts workshops and a hunt for the old hag, a nice old woman with surprises for our visitors! We packed our glue, glitter, pompoms and magic dust once more to create mini Christmas trees, Angels and beautiful lanterns with children in Kilkenny castle. This workshop was complemented by wonderful stories from the North Pole, with beautifully illustrated books. We started the year with a repeat of last painting workshop: a group of 15 different women from Trim joined Oulala Productions in Trim Family Resource Centre to explore their creativity and play with acrylics! Experimenting with colours, light and composition, they got to create their own art piece on their subject of choice. As last year’s group liked us so much, they asked us back, swapping the paintbrushes for a pair of runners and various props! Exploring expression, relaxation, self-confidence and -of course- plenty of fun, this programme took place every Monday over 6 weeks. 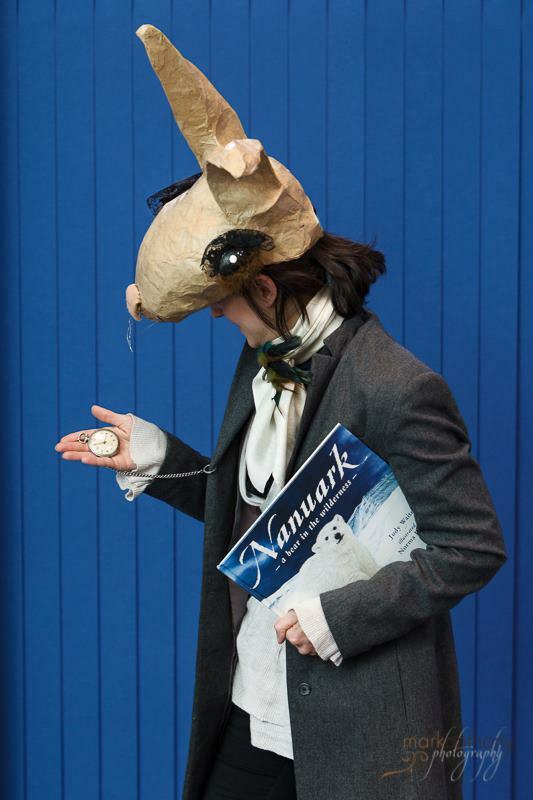 Is this the Mad Hatter of the March Hare? We got the tricks out of the hat for yet another year of laughter and mystery, with crazy stories to be heard, in the sun this time, on the beautiful site of the Battle of The Boyne, Oldbridge House, near Drogheda. Children got to create their very own “Book of Kells”! We were delighted to join other Meath artists and Meath County Council Arts Office for the return of this wonderful children’s arts day. Menagerie Mayhem is a fantastic event which gives children aged 6 plus an opportunity to unleash their creativity and work with a number of professional artists to create masterpieces of their own. This year, we were taking inspiration from the Academy award nominated Cartoon Saloon animation ‘The Secret of Kells’, whose limited edition prints from the movie were on exhibit at the Toradh Gallery. Children got to create their very own Book of Kells based on their own story and images they saw on the walls and in the film!